Formed in 2005, Hatt Adventures is one of the South East’s leading outdoor adventure providers. Hatt Adventures was the vision of owner and director Tom Hatt whose passion and enthusiasm for outdoor sports is second to none. The business started as a small one-man band and over the years has expanded due to an excellent reputation for providing high quality courses and experiences. The team at Hatt Adventures love what they do and this is reflected in the way they run their courses. Tom has always said that the most rewarding part of the job is seeing people trying new things and having loads of fun in the process. As a long-standing business we feel that it is always fantastic to see so many people coming back year after year to further their skills or to try new adventures. In 2007 Hatt Adventures began providing television and film safety cover under ‘Hatt Safety’ and has worked with some high profile customers including the BBC, ITV, Countryfile and The Bill, as well as working on several music videos by artists such as The Artic Monkeys, Super Furry Animals and The Last Shadow Puppets. In 2015 Tom became a member of the British Stunt Register and started on TV and Films as a stuntman. Hatt Adventures instructors are all highly qualified, experienced and have a passion for teaching and outdoor sports. Click a profile to see more information. Adventure is in Tom's blood. He has climbed, kayaked, walked, cycled, dived, surfed and explored many parts of the UK and Ireland. He has also travelled in a number of locations worldwide including regular trips snowboarding in the French Alps, cross-country skiing in the Arctic Circle of Norway and climbing peaks in Nepal and India. Tom is a highly skilled and qualified instructor and has been teaching outdoor pursuits since 1999. Tom was a former reservist with the Royal Marine Commandos, worked as a Beach Lifeguard and when not running the business or instructing he can be found working as a stuntman in the television and film industry. When she's not staring at her laptop, Fran loves a good adventure! Growing up in northern Italy, surrounded by beautiful lakes a stone's throw from the Alps, it's virtually impossible not to become an outdoorsy person. At some time or another, she has been skiing, snowboarding, horse riding, wakeboarding, stand up paddling, scuba diving or freediving in one of four continents. And is qualified to teach exactly none of those. Good thing she's pretty nifty on that laptop - someone's gotta keep things ticking over. Cathy is an adventurous and nature loving person. She grew up in the Swiss Alps and quickly found a passion for travelling. She has been kayaking with killer whales and in some of the most beautiful places in the world. She has also done some rock and tree climbing, skiing, raft building, mountain and rainforest trekking, horse riding… you name it… she is always ready for an adventure… and one of her passion is to share that love. She is also a very approachable woman… so if you are looking to embark on a new adventure, just pick up the phone and she will be happy to answer any enquires and maybe book you in for the experience of a life time?! Kyle loves adventurous mountaineering and climbs in both Summer and Winter extensively across the U.K wherever the weather allows (and often when it doesn't). He is a keen white-water kayaker and can also be found underground enjoying a spot of caving. A qualified teacher and NVQ assessor Kyle has over fifteen years experience coaching and instructing. This work has involved a wide range of clientele from adult technical skills courses and guided experiences to personal development youth and school groups. Levi has been working as an outdoor instructor since 2008 and he has a huge passion for anything and everything in the great outdoors. Levi takes a great pleasure in helping people get out into wild, no matter what their experience or background, and his enthusiasm and passion is infectious. His immense passion for all things mountainous, have taken him to the remotest corners of the UK and across the channel to the Alps in Europe. Levi has a particular love of winter mountaineering and climbing, and can be found out on the hill in all weather's! 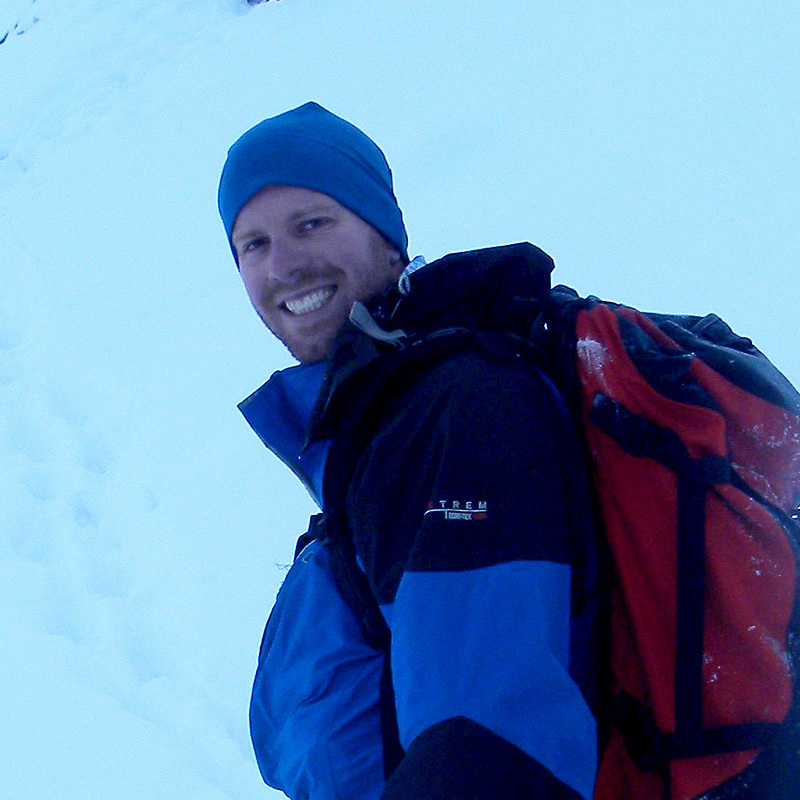 Levi has his sights set on Polar adventures, with a view to leading expeditions in the future. Kev started rock climbing in 1996 as a method to maintain some fitness levels for his wakeboarding when the cableski parks were closed in winter. He took up teaching the sport in 2007 and it is now one of his main activities. Kev has climbed in several regions of the world including New Zealand, South Africa, Europe and the United Kingdom. Kev was also the rock climbing instructor for the TV Superstars series screened on Channel 5 in 2008. As well as climbing, Kev is a PADI certified assistant diving instructor and has racked up over 250 dives in many of the regions of the world including the Great Barrier reef, Red Sea, Florida and UK waters. Kev is also a keen cycler and has travelled through Europe by bike completing the London to Paris challenge in 2008. Simon started to become involved with the outdoors from the age of 7 through the scout association. Since that time he has followed a path through university gaining a degree in outdoor leadership and gaining experience and professional qualifications on the way. Simon is a passionate climber and open canoeist as well as regularly participating in cycling, caving, kayaking and bushcraft. One thing is for certain Simon is never happier than when he is outside! Joe is a keen outdoor enthusiast and has been climbing for over 13 years. More recently he became interested in other aspects of the outdoors including white water kayaking and winter climbing. Recent adventures include ice climbing in Norway. 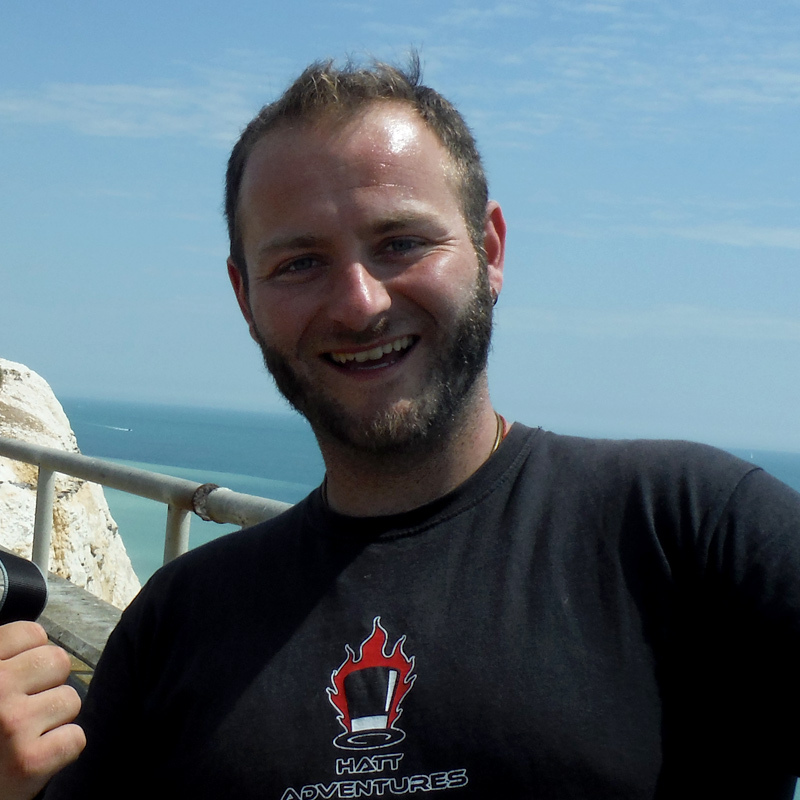 Craig has been working in the outdoor industry since 2004 and has a wide range of experience from senior instructor at climbing walls to managing outdoor centres. His main passion is climbing and when not running courses he can be found dangling off a bouldering wall or cranking it on his chin up bar! He as lead groups in a variety of land and water based activities both in the South and North of the country. He also enjoys spending his free time travelling with various trips to Europe and the Southern Hemisphere; walking, climbing, kayaking and mountain biking. Craig is a strong believer in using outdoor education as a means of allowing all people an avenue to develop their full potential. For some this may be an area of potential employment that they wish to pursue; for others it may be on a personal level whereby self-belief and confidence can be built upon. Lou has been climbing and mountaineering since 1997, and 2014 traded in her office job for a permanent life outdoors as an instructor and has never looked back. As a qualified Rock Climbing Instructor and International Mountain Leader and just loves sharing her passion for the rocks and hills with the people she meets. Lou enjoys teaching both young and old alike and in a range of environments from; indoors and outdoors, from the beautiful woodland setting of Harrison's Rocks at home in Sussex, to the bizarre pinnacles of Brimham Rocks in North Yorkshire, to the sea cliffs of Dorset. When not at work, Lou continues to enjoy everything about the mountains. She has rock climbed all over the UK and Spain, but also enjoys scrambling on the UK's ridgelines in summer and winter, especially in Scotland. But more recently her favourite pastime has become Alpine mountaineering, and with now over 40 routes in the bag she recently became a full member of the Alpine Club. Andy has been a teaching in the outdoor industry for over 25 years and has been the BCU kayaking regional coaching representative for the South East for 18 years. His kayaking and canoeing skills have taken him too many countries round the world India, Nepal, New Zealand France, also gaining gold medal In the National Marathon championships in K2, and a silver in K1 sprint in Belgium. Andy loves working with adults and young people coaching them in skills such as climbing, mountain biking, archery, team building, and sailing . The last 10 years he has worked with school pupils with special needs, wanting to understand more about these young people he attended a CPD in Disability Awareness and now delivers it along with becoming a director for the British Canoeing Instructor award and F.S.R.T . Colin's love of the outdoors begun when he discovered climbing at the age of 18, since then he has diversified into mountaineering, kayaking, canoeing, sea kayaking, mountain biking and caving. Colin has worked as an instructor and coach across the UK and as an expedition leader overseas. He also has a deep passion for the outdoor environment just enjoying the experience of travelling in the mountains or along a stunning coastline. Some of his highlights include expeditions in Africa, canoeing across Scotland and trying to remember how to ride a horse in the hills of Egypt! Climbing Instructor and former reservist in the Royal Marines Commandos, James has a passion for all things outdoors and loves is a strong advocate for adventure in the U.K. He enjoys rock climbing on long adventurous traditional routes, mountain walking and scrambling in summer and winter, ski touring, mountain biking and surfing. Food is one of his other passions and he loves foraging and cooking outdoors. Although James passionately believes the U.K is a fantastic playground and is not to be underestimated he has also spent a bit of time on adventures in other parts of Europe. His previous experiences include Rally navigation and Power boating and James would like to soon add paragliding to his list of regular pursuits. Tom has been a keen all round athlete playing many different sports throughout his childhood. Mainly throughout his life he played semi professional Ice Hockey with various clubs across the south of the UK. He spent time in Canada youth ice hockey camps. His love for sport lead him to become a personal trainer and then went on to train for the British Stunt Register to be come a stuntman. Now he loves all things climbing, kayaking, freediving and scuba diving on or above the water. Always pursuing knew adventures and skills his latest interest is motocross! Emily spent her childhood playing outdoors in the Surrey Hills with regular trips up to the mountains in Wales. This has inspired a lifelong passion for the outdoors. She is a keen climber, hiker, kayaker and enjoys the odd bit of caving. She is also really interested in wildlife and bushcraft and spent many years working in Environmental science before deciding to move into the outdoor sector in 2014. She enjoys sharing her love of all things outdoors with people of all ages and backgrounds. Chris has been trekking up mountains ever since leaning to walk but developed a proper climbing addiction once he started university. As president of the University of Sussex Mountaineering Club for 3 years he organised and went on hundreds of trips progressing from walking in the UK to mountaineering in the Alps and has recently been climbing and Kayaking in the Himalayas. He graduated from Brighton and Sussex Medical School in 2008 and has been practicing as a Doctor in the UK and New Zealand since then. Combining these interests he set up a wilderness medicine society at the medical school and teaches wilderness medicine and first aid.